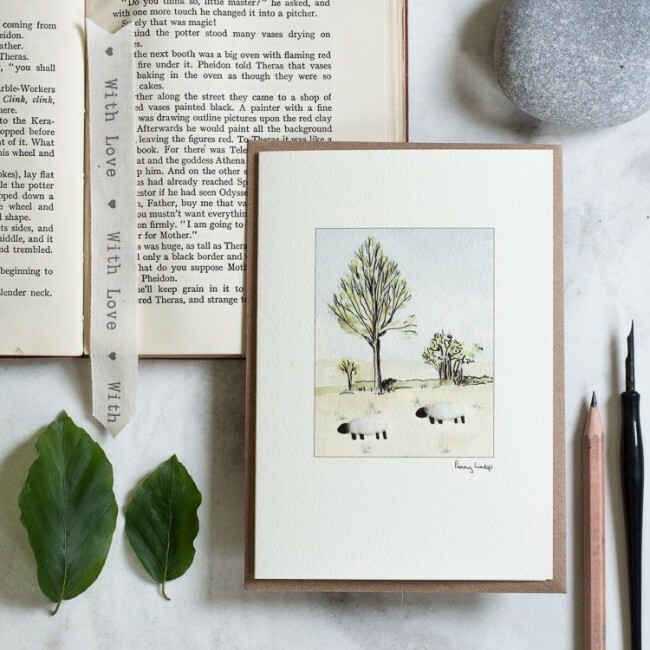 This is a beautiful handmade sheep & willow tree greeting card. 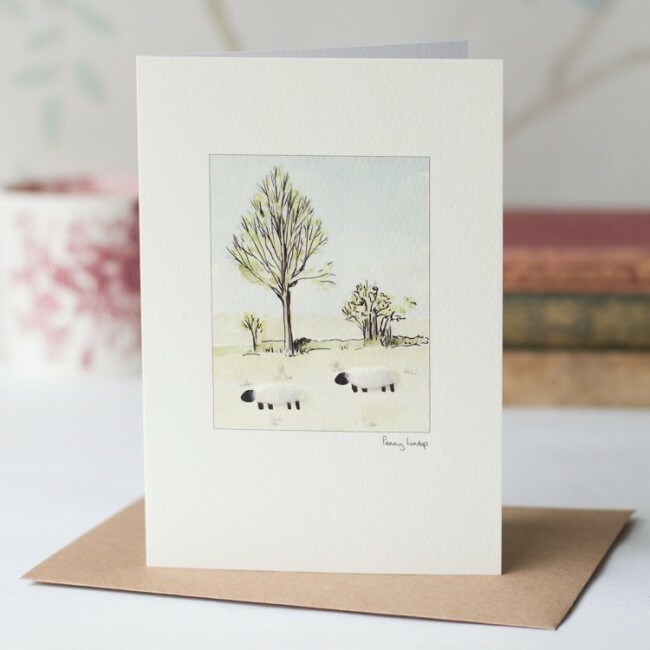 The card has 2 woolly sheep in a field with willow trees. We hand finish the sheep with genuine sheep's wool - guaranteed to raise a smile! This popular design is the perfect choice for countryside lovers. It is a perfect choice for men and for keen walkers. 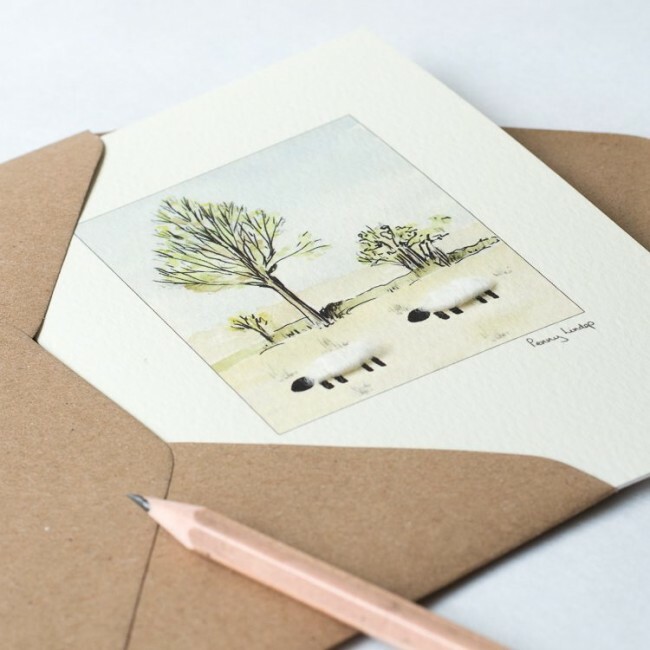 This card takes inspiration from our local heathland where we walk the dog. The card is blank inside for your own special message. Supplied with a wholemeal envelope made from recycled paper. The card and envelope are supplied in a clear cellophane bag. This card looks great mounted in a 4" x 6" photo frame if so desired. It makes a lovely little picture and reminder for the recipient. Card size - 10.5 x 15 cm (4 x 6 inches) We print this card on a quality 280 gsm textured board – a lovely paper to write on.